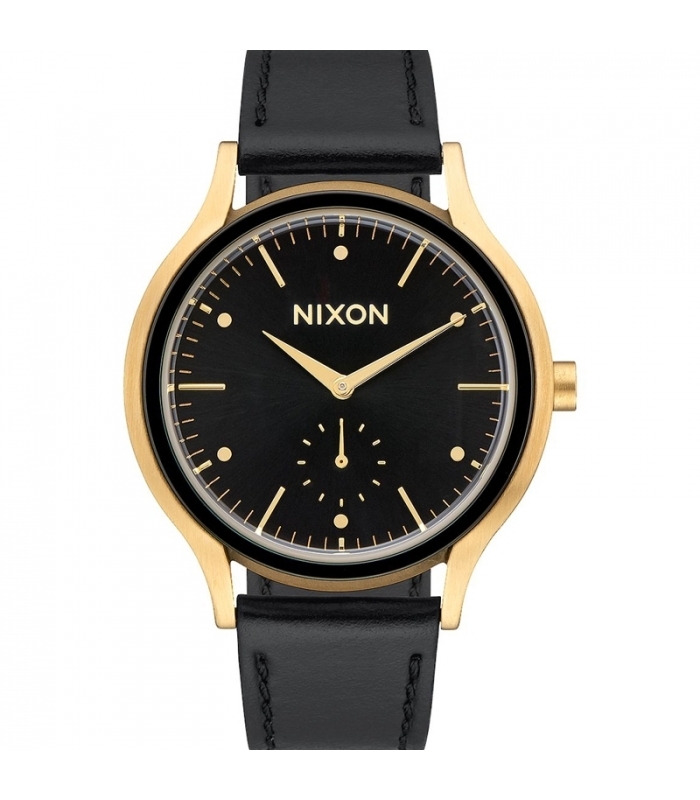 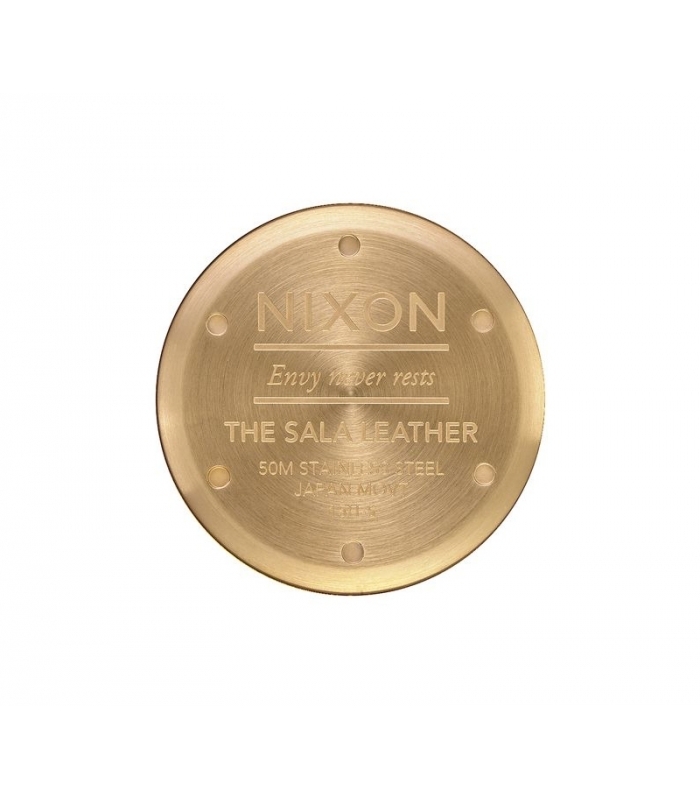 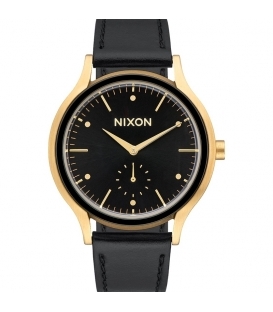 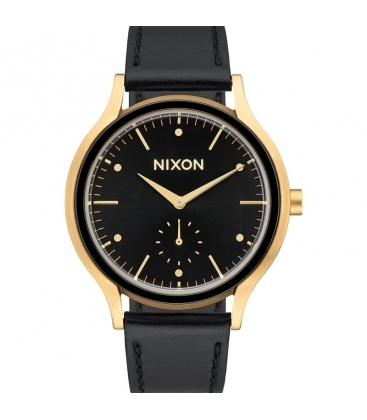 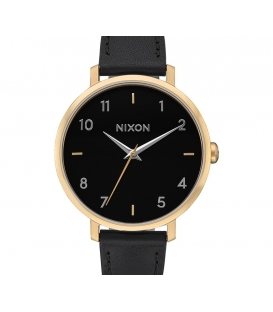 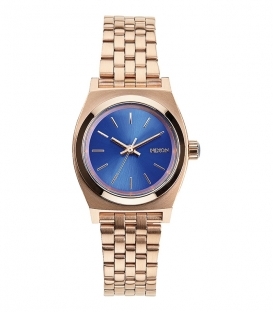 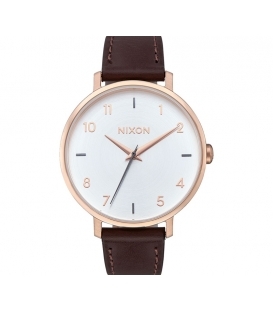 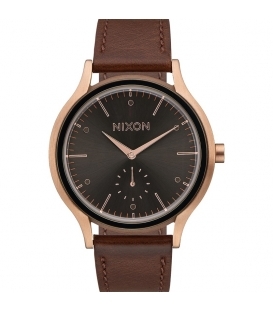 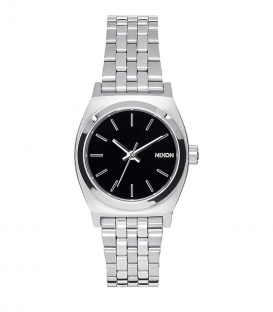 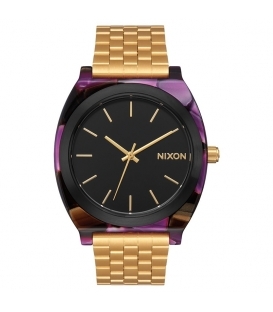 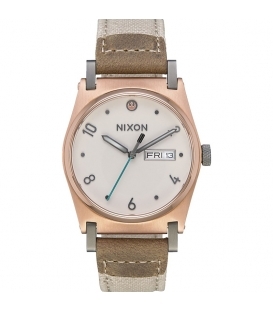 The dial features applied Nixon logo, hour & minute markers, rivets, and a subdial at 6 o’clock tracking seconds. 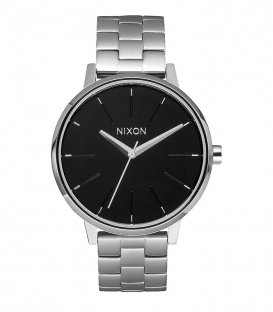 38mm, 5 ATM, custom stainless steel case with domed hardened mineral crystal, screw on caseback, inserted bezel ring and custom crown. 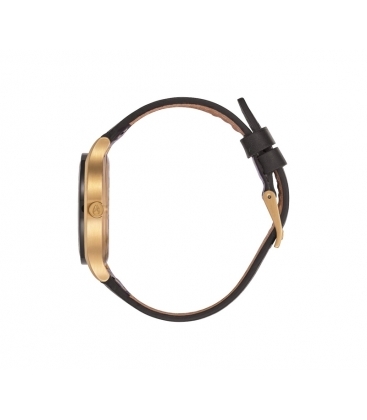 18mm- 16mm tapered, leather band with custom buckle.